The concept for an off the grid house, is making the rounds of Australia. Tesla calls this bold idea the “Tiny House,” and it is a showcase for what a solar-powered house is capable of providing. The house has a 2-kilowatt (kW) solar system coupled with a Powerwall. 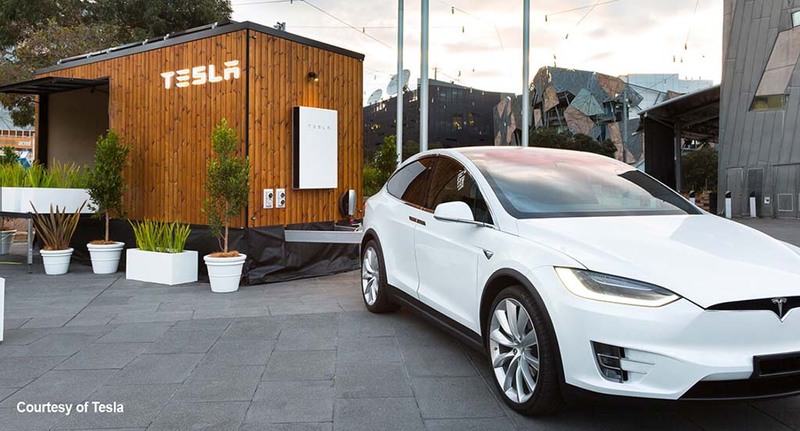 It should not be surprising that the Tiny House powers the Tesla Model X as the company tours Australia. This bold concept, however, is only a concept house used for demonstration purposes only. It is meant to show consumers and potential buyers how a solar house works. For starters, the house can calculate how the house can generate the power it needs, and then stores it in the Powerwall for use at all hours of the day and night. The energy generation, use and battery storage levels could all be monitored by an app. The house has a 2 kW 6-panel generation unit, with an AU$5,000 Powerwall. The house is constructed of all-natural, chemical-free, lumber from local Australian wood. It also weighs 2 tons and is towed by a Tesla Model X. It should not be surprising that the Tiny House powers the Tesla Model X as the company tours Australia. A combination of an electric vehicle and a solar energy-powered house is a solution which has been put into use by a lot of solar energy users. It is a logical next step, especially when you consider that the electrical cost of the car would be offset by the solar energy produced. This arrangement also leaves a very small carbon footprint. The roadshow travels from Melbourne, Australia to Sydney, Brisbane, and Adelaide. The company itself is not selling solar panels in Australia at the moment, however it had sold Powerwalls. So far Tesla is selling solar panels in the United States and Mexico, but this is expected to change once Tesla has finished its acquisition of Solar City. If the roadshow proves successful in Australia, Elon Musk’s battery company along with Tesla should be able to do the same roadshow for other countries. Tesla already sells the Powerwall in South Africa. The home battery unit is capable of storing 6.4 kilowatt hour (kWh) of energy. The larger Powerwall 2 is capable of storing 14 kWh and comes with an integrated AC inverter, and costs only 50% more than the Powerwall. Another Tesla project in Australia is the 100-megawatt battery backup to the Hornsdale Wind Farm in South Australia. Elon Musk accepted the challenge to deliver on the 100-megawatt project on time or it’s free, yet another bold move for the engineering mogul. Musk’s group won the bid for the batteries over 51 other competing companies. He had earlier stated on social media that his company could do it in only 100 days, and this was included in the ensuing contract. A house ruining off the grid with renewable energy can lower electricity costs for the owner. In some areas, the owner can even earn by selling excess capacity back to the power grid. 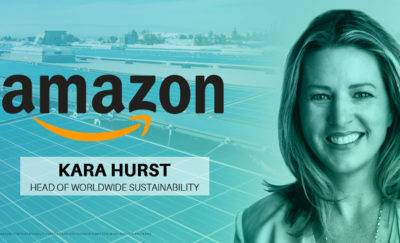 This arrangement is possible in some countries, where the electric utility company has agreements with solar powered home owners to buy the excess energy produced. There have been testimonials from consumers citing their own experience with a $16,000 solar installation and Powerwall combination, saving up to 90% on their bill, down to just 59 cents a day. Combined with a battery, a solar installation can generate enough electricity to power the house even after sunset. 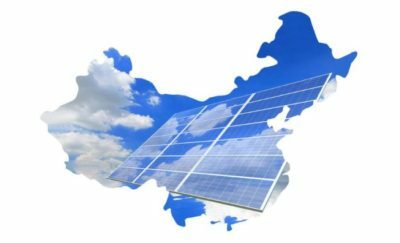 Can Solar Energy Bring China And The US Together? Is Big Wind Bad Wind?